My girlfriend has not been here since I discovered that Point Vicente is a great place to watch for whales. We decided to take a short break from work and head up there. We got a couple water spouts, so we know they were out there, but it was really blown out. Not sure a whale really cares about the weather though. Day 68 of Project 365. 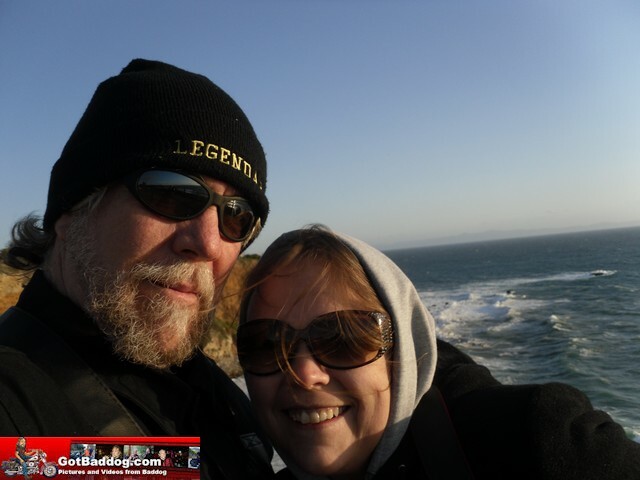 We took a little break from work and rode up to Point Vicente to see if the whales were out and about. It was very windy out, making the water quite choppy. While we did not see any whales breaching we did manage to get a couple shots of water spouts. Oh well, I have a new lens coming in tomorrow so Geek Good Girl and I will try again tomorrow. I have to test it out anyway, right? My daily photo is of Geek Good Girl and me.